Internet of Things (IoT) is a global network of smart devices that can be sensed and interacted with the environment using the internet as a platform for the communication and interaction with other users and systems. The main concept behind every IoT technology and its implementation is “Devices are integrated with the virtual world of internet and interact with it by tracking, sensing and monitoring objects and their environment”. It also can collect and transmit data, actuate devices based on triggers and receive information. Water is one of the most important substances for people on earth. Nowadays, people demand something that can influence their daily lifestyle, in a good way. Lots of people do not realize the importance of water because water is a limited resource, but useful in industry and agriculture. By using water monitoring system water wastage can be avoided. Since the water leakage cannot be detected automatically, some of the people do not make a fuss about the problem at all. Thus, the bill of water consumption will increase and this system will help to save cost on the bill, by detecting the leakage of the water at certain points in a pipeline. Most of the people are unaware of the leakage of water which has been occurred in their environment. Therefore water leakage monitoring system is proposed. Water leakage at certain points can be detected by monitoring flow of water in the pipeline by using Water Flow Sensor. In addition, the amount of water that has been wasted due to the unattended water consumption can be reduced. In order to detect water leakage in the pipeline, the pressure of water will be measured by using the water flow sensor. Once the pressure level is detected, the LCD will display the current water flow rate and the GSM will notify the user about the­­ leakage. 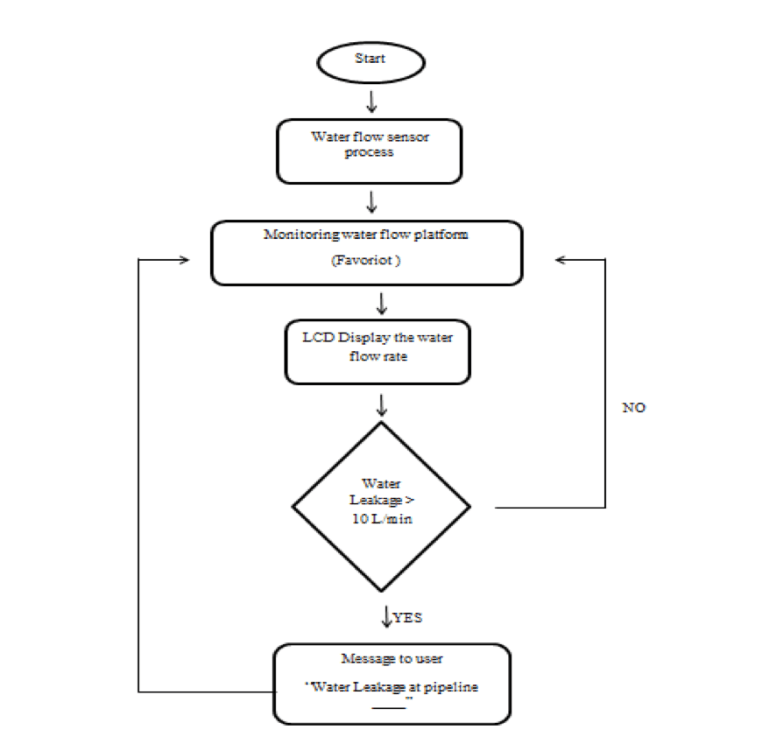 This project is conducted based on the flow chart shown in figure 1. In the first stage, water will go through the water flow sensor and can monitor the water flow by using the Favoriot platform. The LCD will display also the water flow rate. When the water flow rate more than 10 L/min for a certain time without no one use it to show that the water is leakage. After it detects the leakage occurs at the pipeline, the GSM will notify the user about the leakage. The design part of this project, it explained about the process of the monitoring water leakage. Figure 2 shows the concept that will be used in this project. The water from the tank will flow the water to every junction pipeline. And every junction will place the water flow sensor to monitor the flow rate of the water. When the water flow rate increase more than a threshold that was set up, that is mean there is some part is leaking in the pipeline. 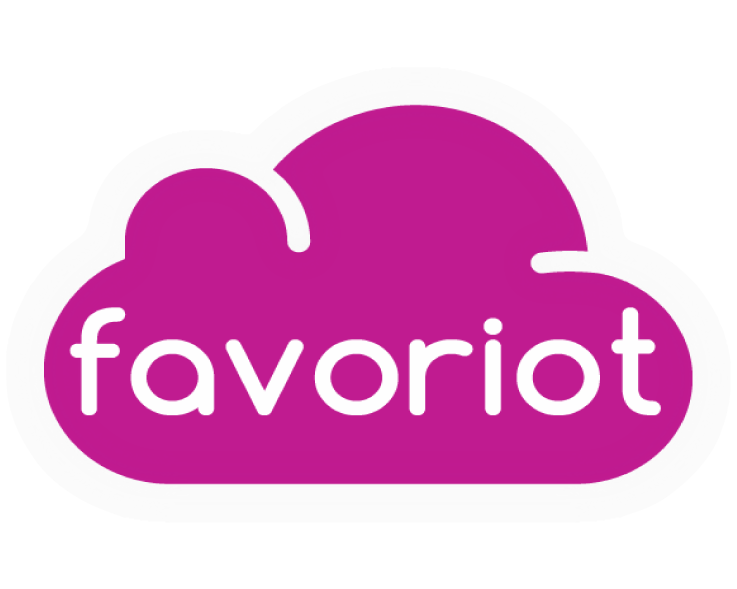 For monitoring part, Favoriot will monitor the graph of the flow rate water and LCD will show the flow rate value for every second.